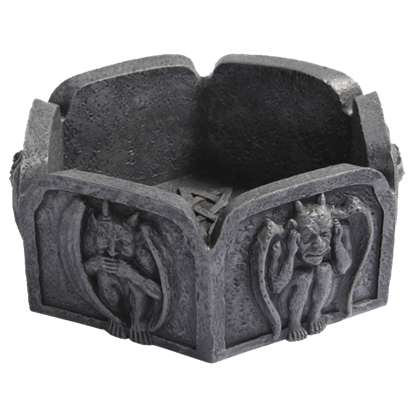 Sitting on top of the Gargoyle Ashtray Box is a small, demonic figure. He clutches his knees as he leans forward, staring in anticipation. Horns jut from his head, bat-like wings from his back, and hideous claws from his feet. Perched on the outside of a cathedral, gargoyles have been believed to ward off evil and harmful spirits. 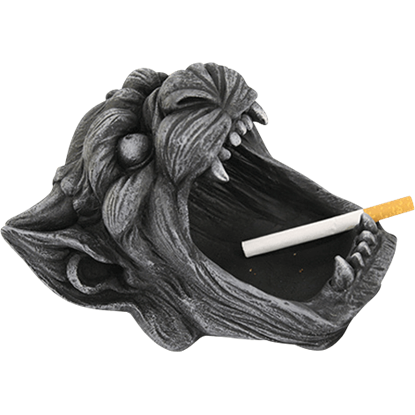 Sitting on your desk or table, this Gargoyle Mouth Ashtray is a great way to keep your cigarettes or tiny items safe from harm. 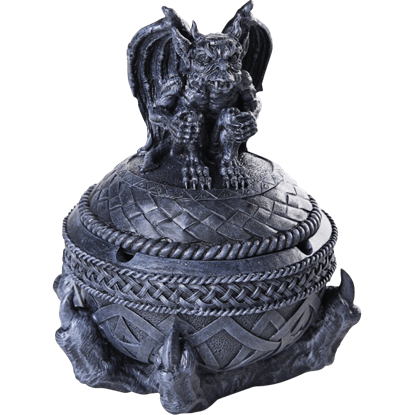 Even the little accents can be unforgettable ones, especially when they have as much character and appeal as this Guardian Gargoyles Ashtray. This ashtray is a versatile container and dish, as well as a decoration, all rolled into one.